Ever since Bryce Harper, at the age of 16, used the DeMarini VooDoo to smash a 502-foot home run at Tropicana, the two piece hybrid Voodoo bat has been, to say the least, a popular choice. 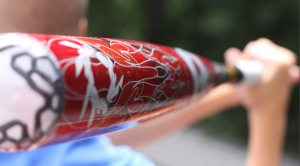 With the release of the 2015 version of the bat just a few weeks away, the buzz has officially begun. We aren’t the only ones to have information about the Voodoo Overlord FT. Other places, in particular those who sell bats, usually have a boiler plate write up on the specs of a bat. Many of those we reference to make sure we are seeing what we should be. Here are some more references for the 2015 DeMarini Voodoo Overlord FT review. And why make many changes to a good thing? Last year’s version of the bat got a lot of play with a Vanderbilt team who won the NCAA World Series with it. DeMarini also helped put more teams in the NCAA tournament than any other bat. This bat has a great ping sound and a smooth swing with a gigantic barrel and we’d expect nothing less from a bat company who was made famous by hot, out of the wrapper shticks. With such an impressive pedigree and consistent impressive design, anyone looking for a top of the line bat shouldn’t hesitate to take this one to the plate. It also feels slightly more endloaded than the previous year’s version. I’ve used my trusty swing weight calculator to get a number on the swing weight and that is marginally true, but both the 2014 and 2015 VooDoo Overlord should be considered end-loaded or swing heavy bats. Compared to the 2015 Baseball CF7 the Voodoo Overlord FT swings about 13% higher when comparing similar lengths. If you were looking for a CF7 that has a similar swing weight to your VooDoo FT you’ll need 2 to 3 inches more.